Having survived the February 14th mass shooting at Parkland, Florida’s Marjory Stoneman Douglas High School — an attack that took 17 lives — 17-year-old David Hogg and an outspoken group of his fellow classmates have since led a nationwide movement calling for stricter gun laws. The student team has shown they are unafraid of NRA-funded and complacent lawmakers. 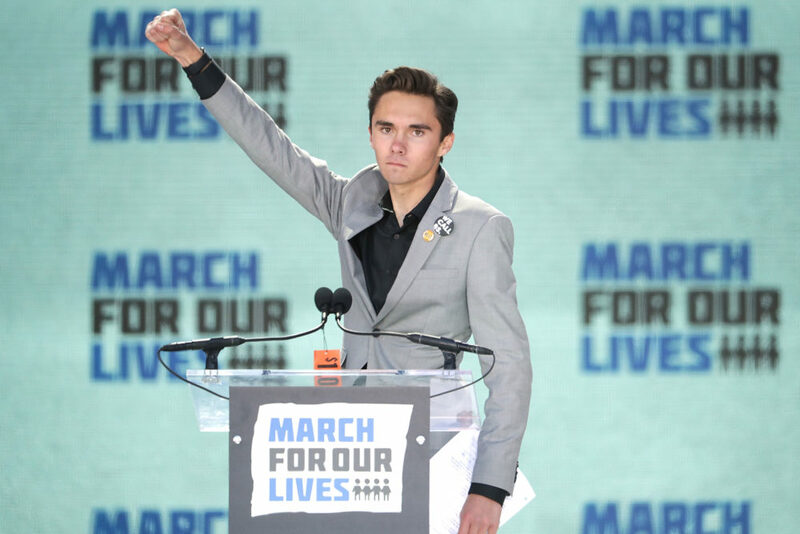 And personally, Hogg has been calling politicians out on Twitter who are questioning the validity of the students and their movement. Hogg was quick to react and penned a hard-hitting response. "Maybe because so many of us are gunned down before we even become 21," Hogg wrote. "@SteveKingIA you prove exactly why so many American's are done with politicians like you who only have the goal of dividing America to make us weaker." Unfortunately, this wasn’t the first time Hogg had to respond to King’s backlash against the teen activists via social media. On Sunday, the day after the March for Our Lives, King’s camp shared an attack meme that drew attention to Hogg’s fellow student leader Emma González and the Cuban flag patch she has stitched to her jacket. The meme draws a connection between the current American gun control fight and Cuba’s tumultuous political history. Hogg wasn’t going to let King personally attack González and belittle the group’s message. He even brought Cuban-American Senator Marco Rubio into the equation. Rubio has previously faltered on his response to the Parkland shootings and the student outcry, and Hogg isn’t afraid to remind him of that. Politicians can no longer scare us into silence.We stand with Hogg and students everywhere fighting for change.